Injuries resulting from an accident can be traumatizing to the victim. Accident victims are often uninformed about their rights to seek compensation from the person responsible for their injuries. Personal Injury Laws in the state of Florida are in place to protect the victims of an accident. Personal Injury victims are entitled to seek compensation for injuries as well as other damages. The Use of Social Media during my Personal Injury Case? If I miss work, can I get paid for my lost wages? Should I see a doctor now or wait to see if I get better? What if I need more treatment in the future? Should I use my health insurance or does the car insurance pay for it? What do you mean I have to use my insurance? It wasn’t my fault. The answers to these and many other questions will not necessarily be the same as they were for your friend or co-worker who was in an accident. They can be different based upon many unique circumstances of your situation. Rice Law Group, P.A. will investigate all of the circumstances of your case and pursue all avenues to maximize the money you receive for your injuries. We handle a wide variety of personal injury cases throughout the State of Florida. Most importantly, you do not have to pay up front to retain Rice Law Group, P.A. We handle nearly every personal injury claim on a contingency fee basis. That means that our fees are based on a percentage of the total amount of the recovery we obtain for you. In other words, we only get paid if you win. If you don’t win, you will not be responsible for fees or costs. Do not try to handle your personal injury case on your own. 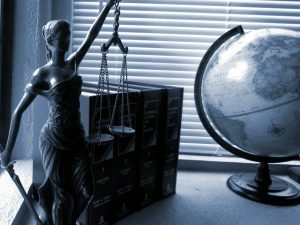 Although you may be given some sort of settlement offer without an attorney, your best chance at obtaining your highest recovery is by having an attorney working for you, ready and willing to take your case to a jury trial. 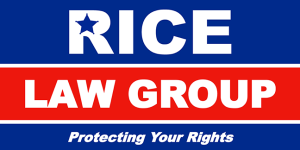 After an automobile accident, contact Rice Law Group, P.A. immediately. Florida law requires you to receive medical treatment within 14 days of your car accident or you might lose $10,000.00 of your own insurance coverage, so do not delay. Do not sign anything provided by any insurance company without speaking with an attorney first. If you are injured in a slip and fall type accident, Rice Law Group, P.A. may be able to get you compensated. Depending upon the circumstances of your case, the landlord and/or the tenant of the property and/or a third party may be responsible. Many times there is insurance coverage to help pay your medical bills regardless of liability for the accident. At Rice Law Group P.A. of Pinellas, understand that personal injury victims may suffer from emotional and physical injuries. Not knowing what steps to take will only add to the stress. Our Attorneys are here to explain the process of your personal injury case. From the time we consult with you as a prospective client until the day we settle your case, we will explain the legal process in full.